The market will welcome another set of Samsung phones which will be unveil on 9th of August. According to the report that the most hyped Galaxy Note 9 might be launch at the same time with Galaxy Tab A. We've posted a lot of update here regarding Galaxy Note 9 on several mote and nothing have change about the ealrier update about it specs and feature. Galaxy Tab A 8.0 is said to be different from the last year Tab A launched, it's looking compact with curved side edges consisting of primary camera and the Samsung moniker. 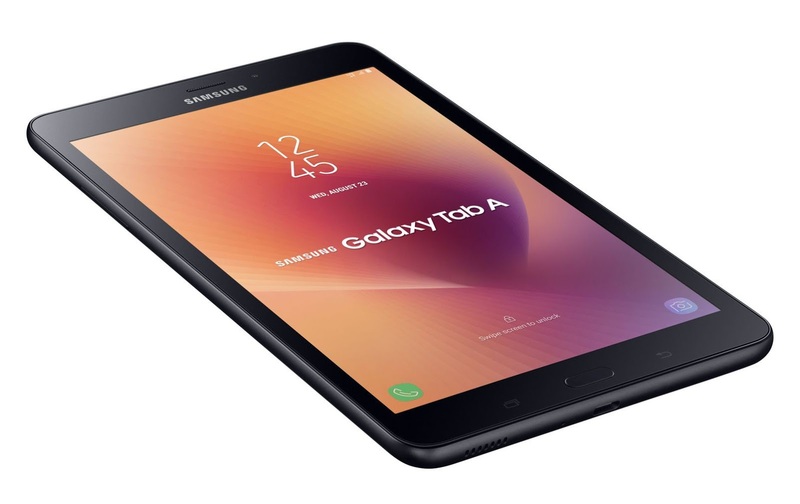 Galaxy Tab A 8.0 has volume rocker, power button and a microSD card slot on the edge. It'll be coming with 8 inch display and will be running on Android Oreo based experience UI and measure 204.6mm in height and 125.8mm width. However, it is spotted to have miss out the security part, no fingerprint sensor supported. Apart from fingerprint sensor all other specs are nice but at the moment the price cannot be determined.